We will find out how good it … and the company been to us. Yea, there is up and down in this relationship. Don’t worry, everyone can write the review. There is no woman in black suit or communist pursuing us for writing reviews. 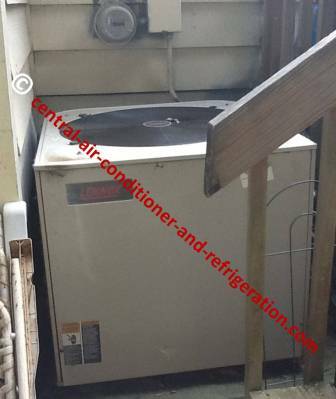 I have Lennox central air conditioner unit for approximately 20 plus years, and I tell you. I love older version of Lennox. It’s running well, it cooling my place, and not everyone will have the joyful experiment I had with my Lennox central air conditioner units. That doesn’t sound proper! Here, we have the opportunity to thanks the company for good HVAC units or get them the bird. Click below to read or write review, enjoy. We can also rate Lennox central air units below. Dave Lennox started his corporation with the development of a furnace in1895. In 1904, he sold the business to D.W. Norris; he was an editor and publisher of local newspaper. At the same years, Norris used his newspaper to sell Lennox furnaces directly to contractors and he sold 600 furnaces in a single years. In 1923, Lennox furnaces expanded and build a warehouse in Syracuse, NY and two years later, it added factory. 1n 1927, John W. Norris, the son of D.W. Norris graduates from Massachusetts Institute of Technology and at the same years, Lennox bought the Armstrong Furnace plant in London, Ohio. Lennox international was owned entirely by the Norris family since 1904. The company was publicly owned after Initial Public Offering on July 28, 1999. Lennox industries make and sell furnace, central air conditioner and heat pump to residential and commercial. If we have these central air conditioner units, tell us about. For example, how long have we had it? How was YOUR Lennox central air conditioner? Do you need advice about your Lennox Ac? or tell us how long have you had Lennox air conditioners without major problem?